Bravo to Chelsea Vowel and friends on this creative initiative to equip a Cree language classroom for Plains/Métis Cree learners in Montreal. This entry was posted in Cree Language Classes, In person or Online, From the Mainstream and tagged Montreal, y-dialect. Bookmark the permalink. Are you getting any interest from the local East Cree dialect speaking people? 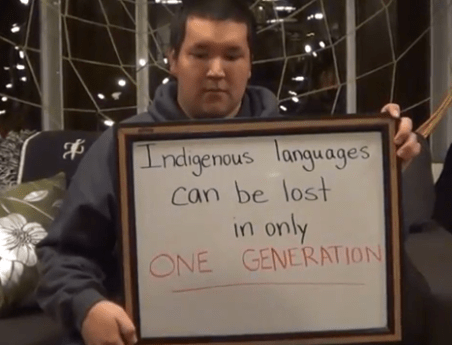 I’m sure there would be some curiosity with people comparing another Cree dialect from half way across the country. The James Bay Cree dialects change considerably from one side of the coast to the other.